Cold weather can wreak havoc on almost all machinery including car batteries. This is why it’s important to make sure you’re adequately prepared for the winter season. We don’t like being stranded any more than you do. For a stress-free winter with your car’s electrics, we recommend you take some precautions. Below we provide you a beginner’s guide on how to protect your car battery in winter. The first step towards protecting your car battery during winter is by having it tested. Ask any professional mechanic and they will recommend you change your car battery every three years. This helps to maintain your vehicle in good health. But you can get away with changing the battery every five years if you do not drive your car often. Take your car to a garage that tests batteries using computerised test equipment. The mechanic will thoroughly check out your car’s starting and charging systems. A test like this shows if your battery needs replacing or re-charging. If all is well, you can keep on using your car. Because as you well know, if your car battery is defective or low on charge, your car will not start! Just like humans, car batteries need warmth to remain healthy during the winter months. Keep your car parked in your garage if possible. If you do not have a garage, park your car in a sheltered area protected from wind. Face the car east so it catches the morning sun. Or you could invest in a car cover, especially when you’re parking for long periods. Doing either of these will help the battery stay warmer. And you will avoid dealing with a flat battery. When starting your car on a cold morning, turn off the lights, radio and air conditioner. All of these place extra strain on the battery. Leaving them off for a minute or two allows the alternator to replenish the car battery after the drain of starting. Grime, dirt, and corrosion on battery terminals contributes to electrical resistance. So make sure to keep your engine bay clean. You don’t need to visit your auto shop and buy a special cleaner for the battery terminals. Simply make your own with a mixture of water and baking soda. Apply the mixture with an old toothbrush and you’ll soon remove the grime and dirt. If your vehicle won’t kick into life after fifteen to twenty seconds turning the ignition, stop and rest before trying again. If your car still won’t start, check the battery terminals. Clean and tighten the connections then try again. It’s possible your battery connections are simply loose. So cleaning or tightening will fix the problem. In winter you do not want to find yourself stranded with a battery that struggles to start your engine. Do what you can to protect your car battery during these cold months. 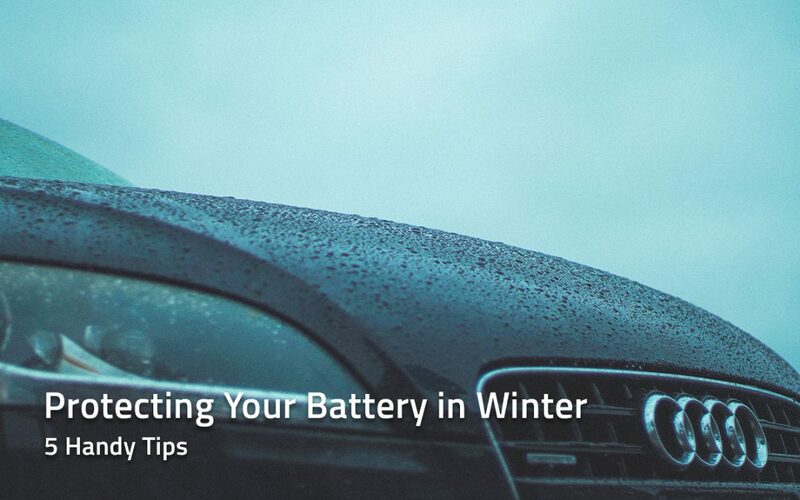 At the very least, be proactive and have your battery tested before winter hits. But we hope you will find our tips useful for protecting your car and avoiding damage to your battery.